Easter Pottery painting is a brilliant way to spend the holidays! Not to mention we have a special visitor... an Easter Fairy. 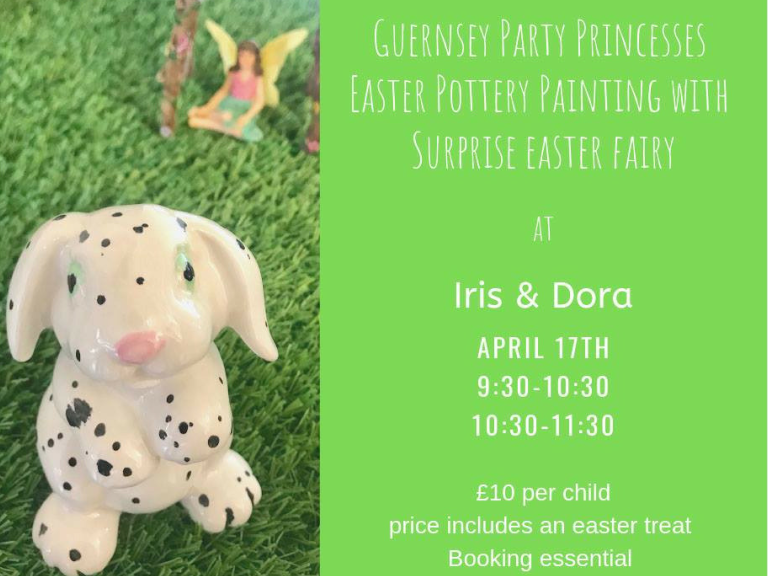 Easter Pottery Painting with Guernsey Party Princesses will be held on Wednesday 17 April from 09.30 to 10.30am at Iris and Dora. Paint one of our beautiful rabbit figurines (we also have other less Eastery options available) plus enjoy a surprise visit from the Easter fairy. To book please contact Iris & Dora directly.